On the 6th anniversary of the destruction caused in the Gulf Coast region by Hurricane Katrina, the Gulf Coast Rebuilding Fundis thrilled to celebrate the opening of a new community hall in Bay St. Louis, Mississippi. This hall is the first large community structure rebuilt in Bay St. Louis, and is already being used to attract community gatherings and small conventions to the area. In the aftermath of the devastation caused by Hurricane Katrina on August 29, 2005, Frank Stasiowski, FAIA, founder of PSMJ Resources, spearheaded an effort to bring the design and construction community together and raise funds to help rebuild a region that was on its knees. Named the Gulf Coast Rebuilding Fund, Inc., this charitable 501 (c) 3 organization was established by Stasiowski as a special initiative for the design and construction industry focused on the long-term rebuilding needs of the Gulf Coast communities hardest hit by the storm. Its mission was simple—to raise funds to be donated specifically for use in the planning, redesign, and permitting work necessary to assist those in need. As a business advisor and resource for many top design firms around the world, PSMJ sought to unite many facets of the design and construction industry in this undertaking. Frank Stasiowskiand his wife, Joan, began the effort by appealing to leaders in the design and construction industry and by giving a personal donation of $10,000. Additionally, PSMJ employees were thrilled to get behind this cause and donate their own time and lead efforts for the PSMJ organization to contribute $25,000 to this initiative. The Gulf Coast Rebuilding Fund also called upon industry associations and the trade media by asking them to help spread the word to members and readers in this rebuilding effort. Through the generous support of many individuals and firms representing the design and construction industry as well as the friends and family of PSMJ, this initiative became a reality. Donations collected through the Gulf Coast Rebuilding Fund not only went to the Bay St. Louis Community Hall but also to some of the other most devastated Gulf Coast communities as they continue to demonstrate the strength and unwavering purpose to rebuild what was lost. For more information about the Gulf Coast Rebuilding Fund, visit www.psmj.com. Hear why Frank Stasiowski thinks you should attend! The American Institute of Architects’ Architecture Billings Index declined for the fourth month in a row in July. With the fluctuating economy and the recent downgrade of the country’s debt, it remains unclear what the future will hold for the design industry. While the recession marked a steady decline in billings starting a few years ago, things looked to be on the upswing as numbers increased in the fourth quarter of 2010 and into the first quarter this year. While this month’s index may be discouraging, things could very well turn around as they have in the past. The ABI registered a score of 45.1 in July, worse than the 46.3 registered in June, and the lowest score of the four month decline starting in April. While billings remain down, inquiries for new design activity have continued to improve, indicating that new projects are still under consideration. Although the values of new design contracts have weakened, this will hopefully mean more of these inquiries will turn into work in the months to come. Regionally, business conditions have worsened in across the country. The Midwest registered the lowest score of 44.9; they had previously reported growth for seven consecutive months late last year and into 2011. Firms in the west once again saw a downturn in billings, continuing the four year streak since they have seen an increase. Firms of all specializations saw a decrease in billings, a turnaround from earlier in the year when each sector reported growth. Firms with residential specialization saw the sharpest decline, while scores for those in the institutional sector remain steady, but still negative. The unemployment rate declined slightly in July, with 117,000 new jobs added. However, this still represents fewer jobs than what’s needed to sustain healthy economic growth. Construction employment remained relatively unchanged, but architecture services employment edged up slightly in June (the most current month available) to 153,200 - the highest point yet this year. Despite the economic downturn, the majority of firms continue of carry some kind of professional liability insurance. Nearly 8 in 10 firms carry firm-wide coverage, with 14% carrying firm-wide insurance plus supplemental coverage for specific projects. While respondents report that the amount of coverage their firms carry has changed little over the last three years, nearly twice the number of firms added or increased coverage in comparison to the amount of firms that eliminated or reduced coverage. This applies for both firm-wide and project-specific liability insurance coverage, although 26% of firms added or increased project-specific coverage, compared to 19% that added or increased firm-wide coverage. Several respondents noted that government projects tend to require more coverage, and as such firms have accordingly adjusted their insurance amounts. Firms in the South were more likely to have increased firm-wide coverage than those in other regions, but the West had the largest share of firms reporting a decrease in project-specific coverage. Small firms, with annual billings of less than $250,000, were the most likely to report a decline or the elimination of firm-wide coverage compared to larger firms. By region, the ABI breaks down as follows from June to July: Northeast is down 46.4 from 47.5, South is down 46.9 from 47.3, West is down 46.6 from 51.7, and Midwest is up 44.9 from 44.6. By market sector: Commercial/Industrial is down 47.9 from 50.0, Residential is down 44.7 from 49.6, Institutional is up 47.2 from 45.9, and Mixed is down 47.1 from 51.5. • Still very slow. Overall project inquiries have picked up in 2011 versus 2010, but even when we are selected, the projects frequently do not move forward. • We are currently busy with very strong profits for the year, with a lack of depth in future projects. Businesses seem to be paying down debt and not risking investment in new ventures. • Industrial and manufacturing (as well as all oil-related) industries continue to improve in the Houston area. • While we are so far having a quite profitable year, we feel the pressure caused by Congress’s long delay on the debt ceiling increase and the wrangling about deficit reduction. It contributes a lot to economic uncertainty. In summary, you want to come across as a multifaceted, down-to-earth, approachable person who is both interested and interesting. By remembering their likes and dislikes, their personal and professional interests, and which issues were key concerns, this enables you to build communication bridges which enhance your credibility and trust. Though you don’t have to memorize it word for word, you should have it well ingrained in your mind ten key reasons why a prospect should hire you rather than a good competitor. There are limitless ways you can employ these in the right way at the right time and place. You can use these as sparklers in your presentation and, when appropriate, in less formal conversations. If you keep these tips in mind, you will offer a friendly, high caliber, professional relationship. Want to hit every presentation out of the park? Join PSMJ this fall for our Winning Proposals and Presentations seminar, coming to 5 locations across North America. Get the tools and confidence you need to succeed in bringing in more work for the firm – register today! 1. Develop your leadership skills. Read, study, and apply yourself to developing as a leader. Some professionals are born leaders. Others are made during the course of battle. You can learn and develop many of the traits of a leader. 2. Become a strategic thinker. How is what you are doing today going to affect your client next week? Take time each day for “think time.” Find a quiet spot and designate it as your “thinking spot.” Take with you a pen and paper. Do not leave until you have written down at least one idea that will help you progress a project, progress an idea, progress your career, progress your boss’ career. 3. Bring in work. Those who succeed in the consulting business are those who “bring in more pie than they eat.” Interpretation: Sell more work than you can do by yourself and start leveraging it out to others. You are now “feeding staff.” Develop your own clients that come back to you because you serve them so well. 4. Understand the organization. Take time to understand your firm’s organizational structure and the role of each of the leaders in the firm. Then determine how you can help each be a little more successful. Be the first to raise your hand to help them in their responsibilities. Successful people are the ones who are willing to do the things that unsuccessful people are not willing to do. 5. Manage your teams well. As a project manager, you are the leader. Leadership has “follower-ship.” Be a constant communicator to the team. Help them understand how important their role is on the team. I am reminded of the architect who told me how the mail room staff shipped his proposal out by Federal Express. Unfortunately, the proposal was for the expansion of a UPS Center. He said his proposal was never even opened, but he did learn the value of everyone on a team. 6. Understand the finance of business. Take the necessary time to develop your business acumen. Consulting companies are in business to make money. Make sure you understand the language of money. My experience indicates that very few take the time to learn the meaning of terms like revenue, gross margin, indirect costs, WIP and AR. Find a new friend in accounting and let them coach you along. It won’t be long before other PMs will be coming to you as the financial expert. Learn more tips for becoming a better project management and team leader with the world's most successful project managers by attending PSMJ's A/E/C Project Management Bootcamp. This Bootcamp is a revolutionary training like no other--through interactive case-studies, real-world examples, and proven solutions, you will foster innovation, elevate communications, increase productivity, and improve your firm's bottom line. The American Institute of Architects’ Architecture Billings Index slipped once again in June, marking the third straight month of decline in billings. Recent figures have been disappointing, especially considering the promising increases seen in the fourth quarter of 2010 and into the first quarter this year, with five consecutive months of positive conditions. The ABI registered a score 46.3 for the month of June, an even more substantial decrease than the 47.2 recorded in May. In spite of this relatively sharp decline in billings, inquiries for new projects showed healthy gains in June; hopefully a sign of improving conditions in the months to come. ABI results by region have changed drastically since the beginning of the year. Through the first quarter, conditions were very healthy at firms in the Midwest, improving in the Northeast, beginning to stabilize in the South, and deteriorating in the West. As of the end of the second quarter, these patterns have almost completely reversed, with firms in the West reporting gains, while conditions decline in the Northeast and Midwest. Design activities for the major construction sectors are also shifting. Residential firms reported a modest softening in June after months of healthy gains. Commercial/industrial firms saw conditions stabilize after a couple months of decline. Business conditions at institutional firms, however, remain quite weak overall. Employment rates that started declining in spring have continued to do so into the summer. There were only 18,000 payroll positions added in June, after a disappointing 25,000 total jobs were added for May. During the first four months of the year, the economy added about 180,000 payroll jobs per month on average. As a result, the national unemployment rate edged up from 8.8 percent in March to 9.2 percent in June. Unemployment, raising energy costs, and economic uncertainty over the government debt ceiling clearly have consumers nervous. While there are many factors that contribute to economic decline, lack of confidence to spend (and build) by consumers and business are clearly a driving force. While weakness in the economy has led to a decline in design projects, architecture firms also blame the larger number of stalled projects for the anemic rates of design activity. A majority of architecture firms report that they currently have at least one or more stalled project. According to these firms, the most common reason for lack of progress is the owner’s difficulty in obtaining financing. Over 60% of firms with stalled projects cite financing as a reason for projects not proceeding. Second on the list of reasons given for stalled projects is general client nervousness about proceeding on the project - no doubt generated by the unusual level of uncertainly about future economic conditions. The third most common reason given is quite blunt - the economy is too weak for a project to proceed. It is becoming increasingly clear that if the design industry, as well as the economy on a whole is to improve, both consumer and business need the will to spend, build and have faith that things will turn around for the better in the months to come. By region, the ABI breaks down as follows from May to June: Northeast is down 47.5 from 47.6, South is down 47.3 from 47.5, Midwest is down 44.6 from 45.9, and West is up 51.7 from 49.3. By market sector: Institutional is up 45.9 from 44.9, Commercial/Industrial is up 50.0 from 46.5, Residential is down 49.6 from 53.6, and Mixed is up 51.5 from 49.1. Don’t Skip the Editing Phase! As a last step in the proposal-writing process, read every single word meticulously and check for errors, omissions and inconsistencies. Don’t rely solely on word-processing programs, as they don’t always catch words that are similar with different meanings, such as “there” and “their.” Copy edit each page. • Proof only one line at a time by holding blank paper over the rest of the text. • Read everything straight through from beginning to end, including all titles. • Read the pages out of order as an alternate check. • Check changes in typefaces, such as headlines and sub-heads. • Double-check references to charts or other sections, to verify their location. • Scrutinize features that come in sets, such as quotation marks and brackets. • Check that you have capitalized the same words throughout and that you are consistant in names and places. Remember, your proposal is a reflection of your firm…if you can’t even be bothered to spell-check your proposal, why would they think you’d be any more careful with their $30M project? Making sure your proposal is correct is just one of the ways you can show your prospective client you are the firm for them. Join PSMJ this fall for our Winning Proposals and Presentations seminar, coming to 5 locations across North America. Get the tools and confidence you need to succeed in bringing in more work for the firm – register today! XL Insurance’s Design Professional group, specializing in professional liability insurance for architects and engineers and a part of the global underwriting operations of XL Group (NYSE: XL), and PSMJ, Resources, Inc., the world’s leading educator, publisher, and consultant on the effective management of architecture, engineering, and construction firms, today announced a new collaborative agreement to share knowledge, develop custom research tools, analyze trends in new ways, and develop reports and educational materials to advance Architecture and Engineering (A/E) firms’ risk and practice management efforts. Customers of XL Insurance’s Design Professional group may take advantage of an immediate benefit: PSMJ is offering a special discount on new subscriptions to PSMJ’s newsletters (Professional Services Management Journal, A/E Marketing Journal, and Project Management). XL Insurance will begin authoring articles for these newsletters, starting with the October issues. This special offer features a new 18-month subscription for the standard price of a 12-month subscription, available exclusively to XL Insurance customers only through September 2, 2011. 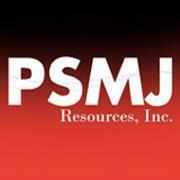 Please contact customerservice@psmj.com to request your new subscription.